SERENGETI future: an open letter to the people of Tanzania – FAIR GAME! 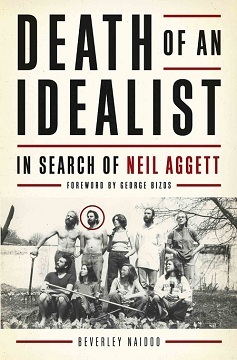 “Death of an Idealist – in search of Neil Aggett”, by Beverley Naidoo, published by Jonathan Ball. I am extremely grateful to Judge Nicholson for allowing me to publish a copy of his very compelling and insightful talk on Neil’s biography here on my blog. The full text is below, with a downloadable PDF file at the foot of this page. Please remember that all copyright subsists with this eminent guest speaker in the event of any re-publication. 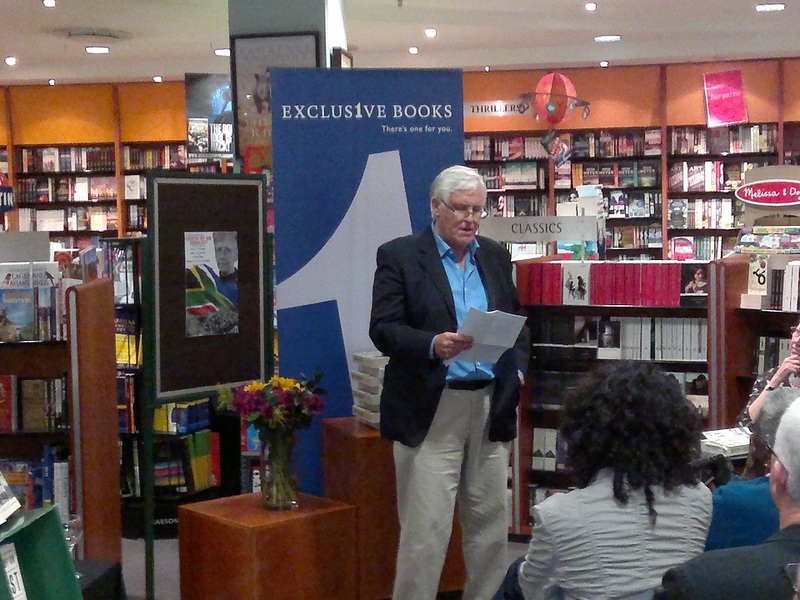 It is indeed a great privilege and honour to be asked to speak at the Durban launch of Beverley Naidoo’s book on Neil Aggett. It is also somewhat eerie to realize that Neil was born on my elder brother’s birthday and died on mine. Not being into astrology, I will leave that as coincidence. I intend to be brief and understand my mandate to be an assessment of the book. I will leave the details of the life of Neil to the author and my assessment of the quality of her work means that you are in very good hands. The short answer to the question of the quality of this book is that it is a magnificent testament to a life and the quality of its writing measures up to this portrayal. The book is a serious academic work of 432 pages and has copious end-notes and a detailed index. In an age when idealism or utopianism is in decline, if it has not died completely – certainly in our political life in South Africa – it is refreshing to learn again how one man tried to take up the cudgels for the working class. As a qualified doctor, he did not seek out a comfortable practice in the centre of the city, catering for the ailments of the rich. He worked at night at casualty in order to make money to fund his trade union work. Where the book is so successful is that not only does it probe and discuss many of the issues of the time, but it shows how Neil grappled and fought for what was right and just. The issues dealt with include whether unions should be registered and the relationship between unionists and political parties, more especially the links to SACTU, the ANC based union. It also poses questions about the balance of the lives of activists at the time and how much attention was devoted to their partners and friends. The brutality of the state is a central theme, more especially the role of the Security Police, in countering the onslaught of the disenfranchised on the bastions of Apartheid, by political trials after torture in detention. The methods of the police in interrogation including questioning for more than sixty hours, cruel assaults, lies, falsity and unrelenting pressure are ventilated with frightening candour. Two scenarios are posited to try and determine how the tragic death took place: the first involving a killing by the police and subsequent hanging in the cell and the second, a suicide. It is well known that, when torturing victims, the police were always careful to leave no marks or evidence of what they had done. We know that to simulate a hanging was but one method and also to hang people out of windows another. When things went wrong, there were always plausible explanations, so the police thought. The case presented at the inquest by the police was that Neil was remorseful after ratting on his colleagues. He had allegedly overheard a conversation authorizing the arrest of his erstwhile friends whom he had betrayed and could not bear the implications. No evidence was tendered of what he said, nor was mention made of the persons whom he fingered. When questions were asked about what information he had divulged, secrecy was invoked on less than convincing grounds, including prejudicing further investigation. Why did this torture take place? Were these policemen doing their duty for their country and saving us from the clutches of the communists, or were they cruel men who enjoyed the power of the process? My impression is that some of the interrogators were fanatically anti-union and anti-communist, but there were also the sadists, who enjoyed the power they exercised as ill-educated policemen, over a dedicated activist and doctor. Always lurking behind the police, were the politicians, demanding an end to the strikes, demonstrations, and waves of protests by a seething mass of rightless persons. So dramatic are the descriptions of the torture that Neil underwent that we are left in no doubt that the most benign description of his death was an induced suicide. We all know that in the case of detention suicide is the result of sustained torture and pressure. The German philosopher Benedict Spinoza said that in normal people there was no conatus, or drive to self-destruction, but that we – as humans – were always seeking our own self-preservation. Neil had a zest for life and was fiercely determined to spend all his waking moments bettering the lot of workers that everything pointed to a love of life. Coupled with this was the very natural fear of death the Greeks called Thanatos. Nowhere in the book is there any suggestion that Neil was depressed or emotionally distressed before his detention. What is particularly compelling in this book is the avoidance of polemics and sentiment. The effect of this is to heighten the horror of the death. Lawyers would also argue that there is also a case for murder or culpable homicide in that the police foresaw from previous suicides that their torture and treatment would have such a result and carried on recklessly as to whether it occurred or not. The forced exercise, nakedness and other ill treatment was aimed at inducing a confession or at least the implication of others in crimes. The records of his statements and interrogation show that so much information was suggested to him by the police, to be included in his statement. An example is his use of the word ‘communistic’ which is a very clear direct translation of the Afrikaans equivalent. Being a fan of the great German philosopher Friedrich Nietzsche, I could easily understand his attraction to that thinker. A copy of the Portable Nietzsche was in his cell when he died and there are several references to his reading of his works. Nietzsche said that, of all that was written, he loved only that which was written with blood, because blood was spirit. Beverley’s book is one of those books. Brian Sandberg has written on the internet that Neil would have risen to the peak of any profession he had chosen. His selfless devotion meant that he sacrificed that to create a better world. Although the book is clearly the work of a very thorough scholar, it is rich with beautiful descriptions and poetic moments. Although no reader could be unaware of Neil’s death, the tale is told with such emotional skill that I experienced profound anxiety as the moment approached. I thought at one stage that examples of the cross-examination, in the inquest, would produce the sort of courtroom drama found in some books. It later became clear how the power of questioning was stunted – surveillance bugs left in George Bizos’ chambers meant that the police were forewarned of all questions and lines of cross-examination that would be taken. It seems clear that once Aggett had made a report of his assault by the security police the pressure would increase dramatically. I never knew Neil Aggett but I have learned so much about his early youth in Kenya and the role his father played in suppressing the Mau Mau. The influence of such a conservative background clearly impacted very much on his decision to enter the trade union movement. The author’s description of sense of alienation from his family thereafter is very poignant. His father never visited him in detention and seems to have rued that fact to his final days. We know from Gandhi that silence becomes cowardice when occasion demands speaking out the whole truth and acting accordingly. Neil certainly did not allow his family’s conservatism to stand in his way. The fact of his death caused a metamorphosis in his father’s thinking and the family’s attitude to his funeral, which was largely organized by the trade union movement, is vibrantly told. We can often speculate what would have become of Neil Aggett had he survived. I am sure he would have made a major contribution to our political and economic life. The strikes around the country at present show us very vividly how much we need the wisdom and courage of a Neil Aggett. The Eighth century Scholar of Charlemagne Alcuin spoke of man as the slave of death, a passing wayfarer, a lantern in the wind. It is important that the light that Neil Aggett shone on the world so briefly should live on. For this, we are indebted to this wonderful book which is an outstanding testament to courage and determination. So we salute the life of Neil Aggett and applaud the work of Beverley Naidoo. Oscar Pistorius & Reeva Steenkamp – a shattered dream !